The spectacular colours of fall are naturally associated with deciduous trees. Yet, these are not the only delightful variegation to be seen. 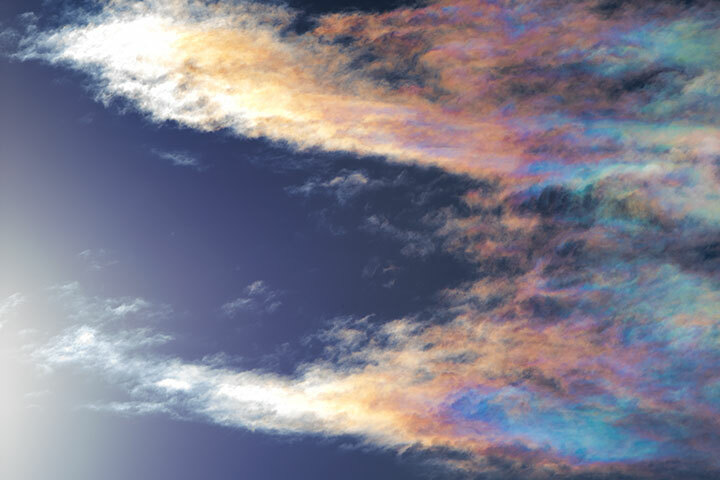 Iridescent clouds are often visible in this season. The colours in iridescent clouds arise from the interference experienced by light as it passes uniformly sized water drops, usually those found in lenticular clouds. The dominant cloud of summer, the cumulus, has a large diversity of droplet sizes with the result that iridescence is not seen. With the arrival of the colder months, the winds aloft strengthen and mountain waves form giving rise to frequent lenticular clouds. Of course, lenticular clouds are common in the winter also, but, for those of us beset with valley stratus, the view is blocked. 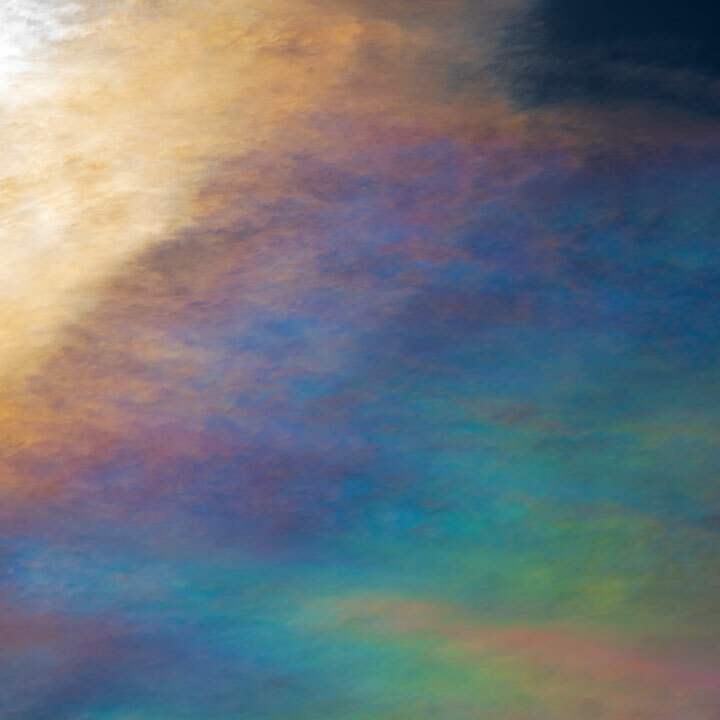 So, for valley dwellers, the fall is a good time to see the brilliant colours of iridescent clouds. Brilliant is the key word here. The colours form close to the sun where the light’s intensity is dazzling. Find a lenticular cloud adjacent to or covering the sun. Block out the sun and use sunglasses. (Stop your camera down by about three stops from the automatic reading.) The rewards are as grand as seeing a mountainside of larches. Below are two pictures taken yesterday. Wow!! Monet in the clouds! Dazzling, brilliant variegation; what we often associate with a 19th century vision. Alistair, these images are wondrous. Sadly I confess I’ve never seen anything like these myself. Thank you for sharing.